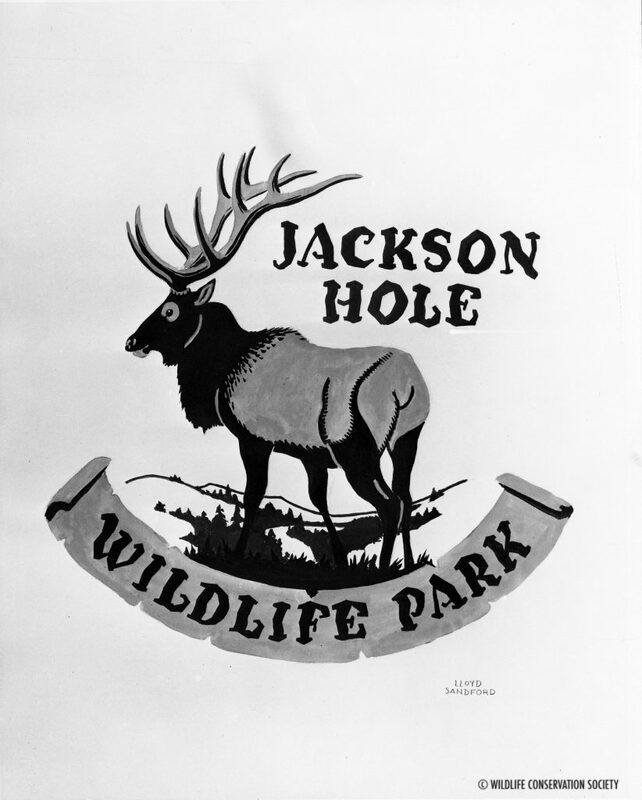 Jackson Hole Wildlife Park opened to the public on July 19, 1948 to great acclaim. The New York Herald Tribune called the opening an “important step in our nation’s general conservation movement,” while the Washington Post heralded it as a “substantial addition to the faculties enabling Americans to view one of their great natural resources in primitive state.” Americans indeed took advantage of the new park: according to the 1948 NYZS Annual Report, within the park’s first year, its guest book contained signatures from all 48 states—as well as signatures from 12 other countries. Visitors were no doubt drawn by the promise of viewing bison and elk in a natural setting. In spite of this natural setting, however, the bison were actually introduced to the park as a captive herd—bison having been absent from the area since at least the 1800s. And, while drawing crowds, the bison display was controversial. 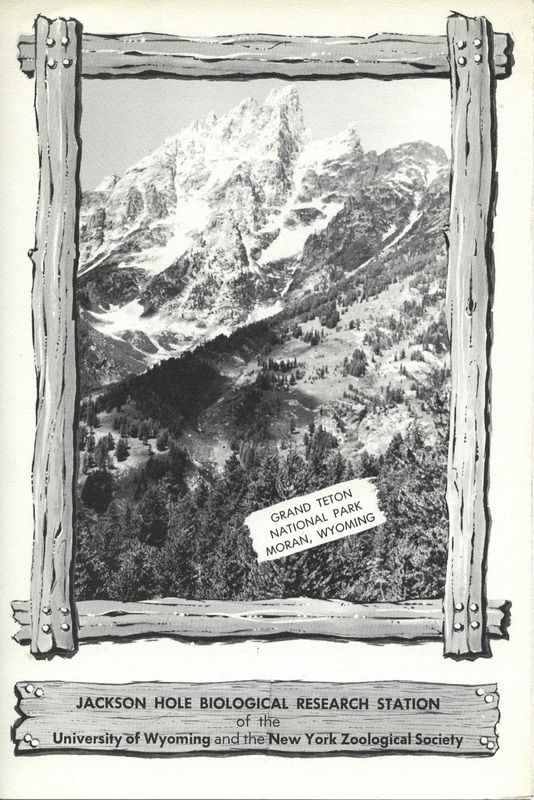 As an NPS history explains, one of its biggest critics was “Jackson Hole resident and renowned biologist Olaus Murie[, who] objected to the display, calling the fenced park the ‘antithesis’ of a healthy wildlife habitat.” The NPS eventually abandoned the display after 1968, when the captive group broke through the park’s fences and began a free-ranging herd that continues today. 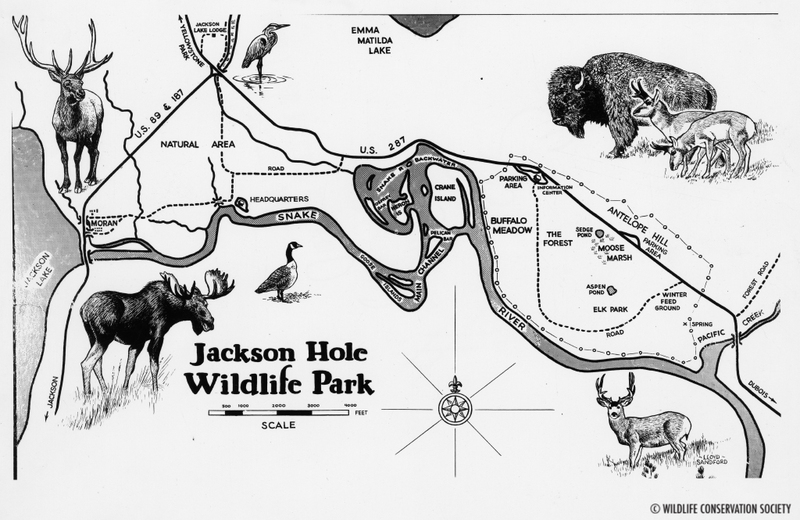 Of greater success than the animal display was the park’s research facility, known originally as the Jackson Hole Research Station of the New York Zoological Society. Before the park even opened, NYZS hoped that it would serve as an “active outdoor laboratory,” and in 1947, the Society reported on the activities of John and Frank Craighead, who, while working on their PhDs, mapped the region’s communities of plants and animals and conducted a study of its predatory birds. 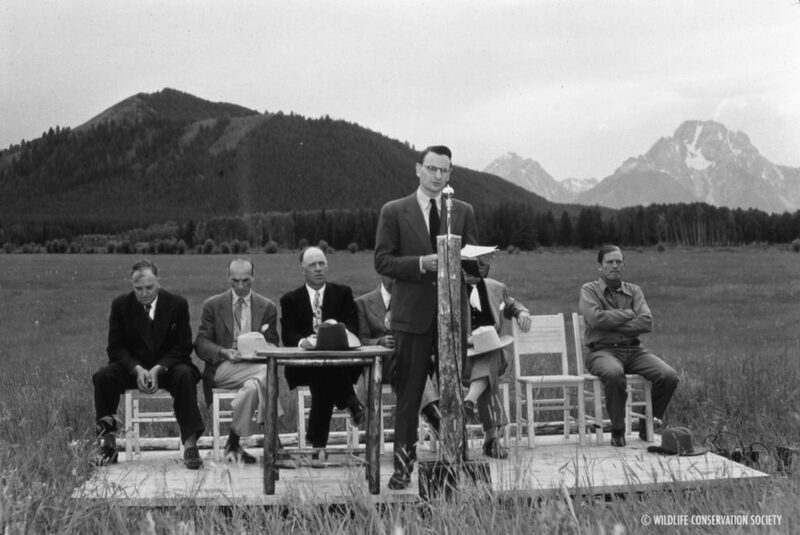 Along with the Craighead twins, dozens of renowned biologists conducted studies at the Jackson Hole Research Station during its existence, including George Schaller, Margaret Altmann, and Howard E. Evans, and research topics ranged from the “vascularity of the brain of Amblystoma” to “effects of human use on wild lands in the Tetons.” In 1953, NYZS entered into an agreement with the University of Wyoming under which the university assumed responsibility for the station’s administration. 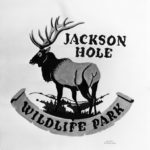 As NYZS’s internal conservation programs began to take shape, the Society ended its affiliation with the Jackson Hole Research Station in the mid-1970s, and in 1977, the University of Wyoming moved the research station to the AMK Ranch on the eastern shore of Jackson Lake to establish the UW-NPS Research Center.